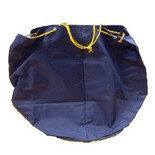 It is manufactured from food grade Polythene. 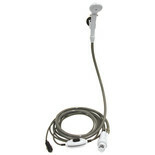 Comes complete with an easily attachable handle. Has a robust design with large tyres giving greater ground clearance. 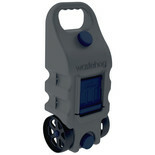 The Waterhog is a water carrier which gives a 50Litre + capacity making it the largest water carrier on the market. Taking the drag out of fetching your water. A must for every Caravanner! 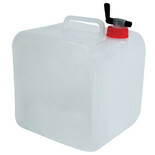 15Litre Folding Water Carrier. Ideal for camping and on long journeys. The Wastehog is of a strong durable design and is manufactured from recycled material for the collection and transportation of waste water. A must for every Caravanner! Perfect for use with a water hog, aquarius, aqua roll, aqua caddy or roly poly. 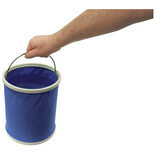 The 11 Litre Collapsible bucket has a multitude of uses. It will allow you to make spontaneous visits to the beach to go crabbing or collect seashells. 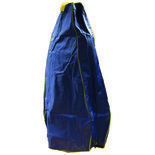 Ideal for keeping your water hog or aqua roll clean and tidy during storage, the Streetwize ARB Bag is a high quality storage bag which has been manufactured from 420D PU Coated Nylon. Standard Wastemaster Bag helps to protect the Waste Hog whilst not in use. 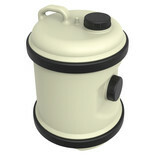 Portable chemical toilet. 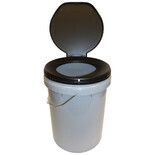 The Need –A-Loo is a bucket style toilet complete with a snap on traditional style seat. 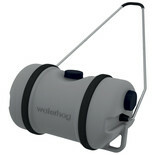 Take the drag out of fetching your water with this large capacity water carrier! 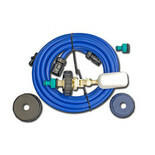 Ideal for camping and caravanning.